To secure your WordPress website from attackers and those who can compromise the site, you ca install the WangGaurd Security plugin for WordPress. 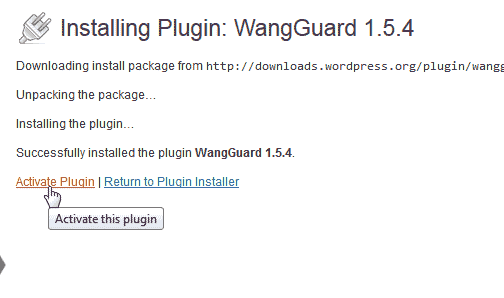 Below are the steps to install and activate the WangGaurd security plugin. Go to plugin's and click Add New. Search for "Wang" in the search. Find WangGaurd in the list and click Install Now. Navigate to the WangGaurd link on the left. 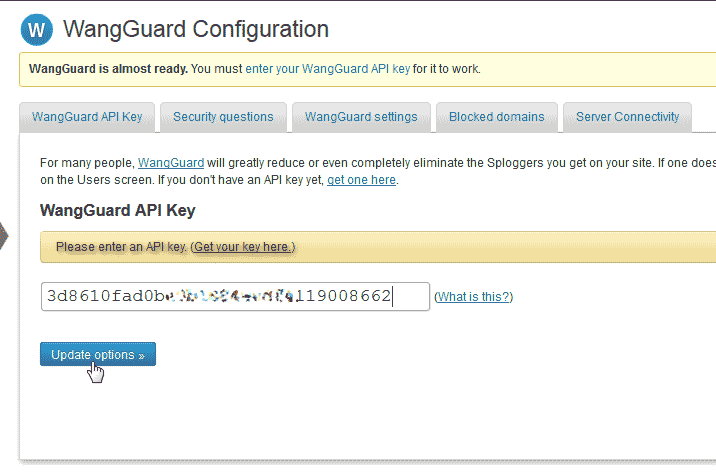 In order to use WangGaurd Security you will need to get the Free API key. Click the Get your API key here link. 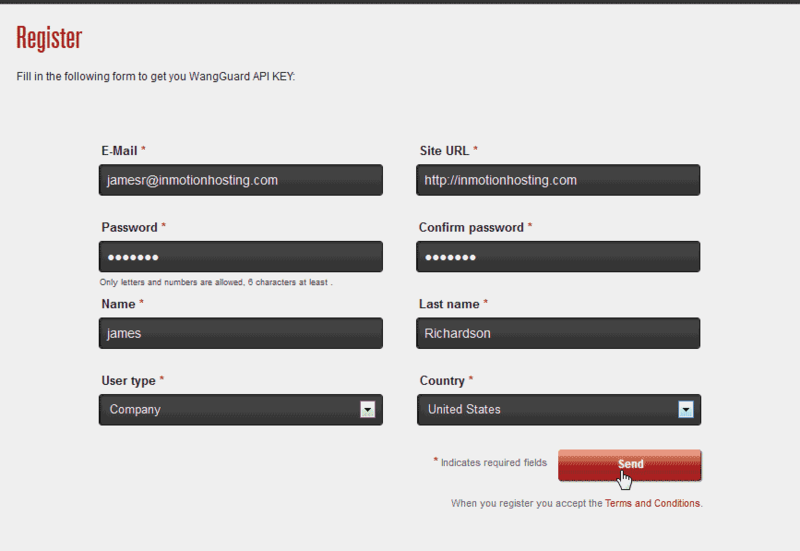 Register at the WangGaurd site to get the free API key. 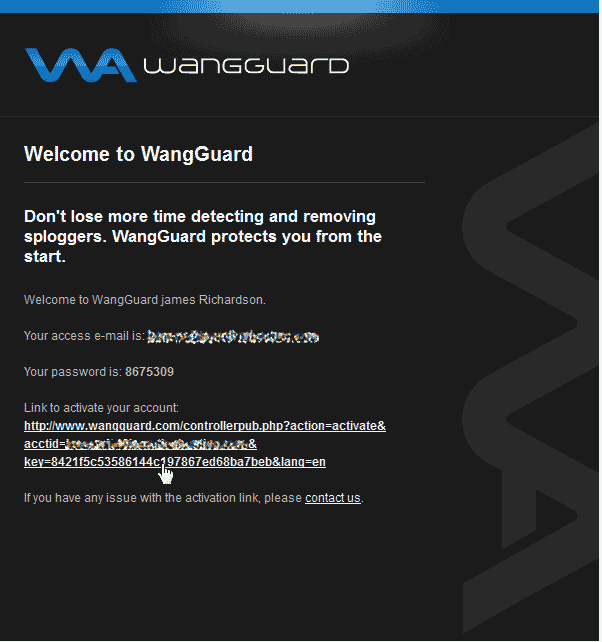 You will receive an email from WangGaurd with a link to activate your account. Click the link in the email. Copy the API key from the WangGaurd site. Paste the API code in the WangGaurd configuration nd click Update options. You will have a Your key has been verified! notice. 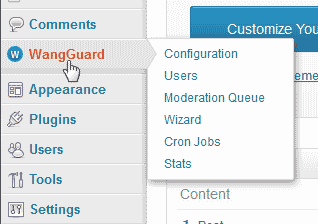 Now you can begin configuring your WangGaurd security plugin.